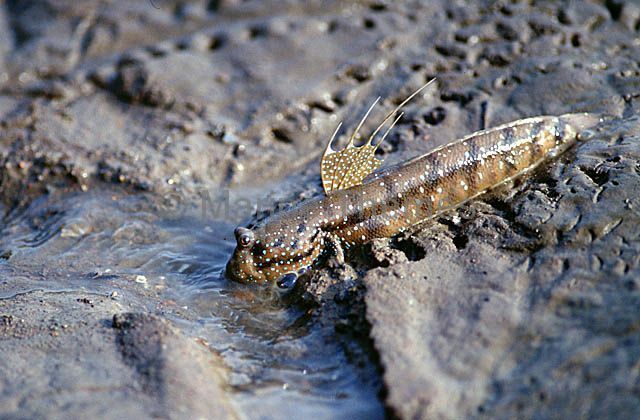 Barred Mudskipper (Periophthalmus argentilineatus) Amphibious air breather. 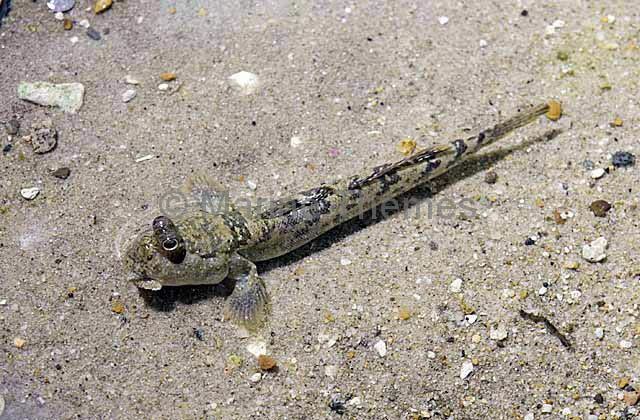 Can stay out of the water for up to 37 hours if kept moist. 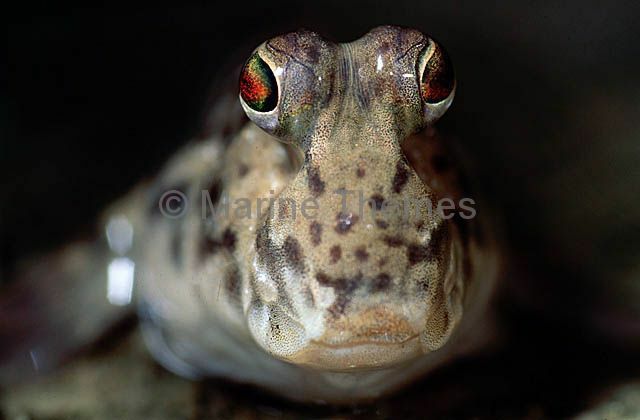 Dusky-gilled Mudskipper (Periophthalmus novemradiatus) portrait. 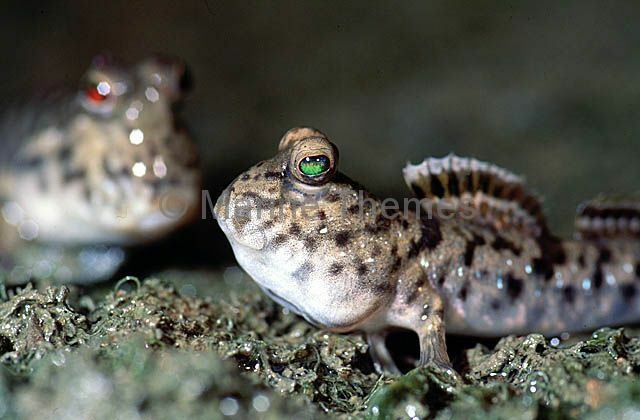 Blue-spotted Mudskipper (Boleophthalmus boddarti) Male with fins erected in territorial display pose. 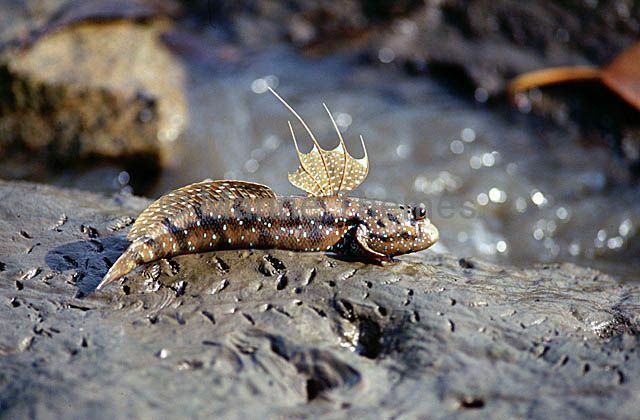 Blue-spotted Mudskipper (Boleophthalmus boddarti) sucking up water into gills. 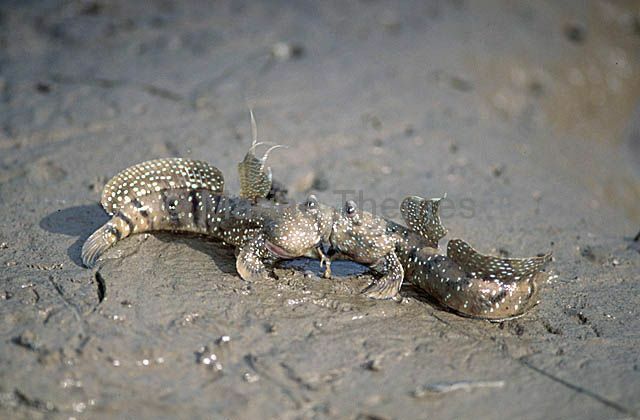 Blue-spotted Mudskipper (Boleophthalmus boddarti) Males fighting in territorial dispute.